While it seems obvious that a teacher should have good communication skills for effective teaching, it is often forgotten that it doesn’t just mean verbal communication skill. Listening skill, body language, and tone, all convey the teacher’s attitude and contribute to the success of the delivery of education to students. There are three forms of communication that can be used within the dance teaching context: Visual, Verbal, and Manual. A message conveyed by one form should be reinforced by other forms, whenever possible, to make sure students understand it. The same goes for giving feedback, derived in one form then verified using others. People usually learn best by watching and copying. A good visual demonstration helps your students develop a clear picture of what is required. Verbal guidance usually is secondary and reinforces the visual; describing an action before it is seen is generally useless and confusing. Also, unless you are assisting students in rhythm and counting them into time, verbal guidance should always be concise. eg. “turn towards your right shoulder” is more effective than saying “turn right”; also avoid saying “do this” while demonstrating, as it is not clear what is expected from students. say what you need in two sentences instead of ten. 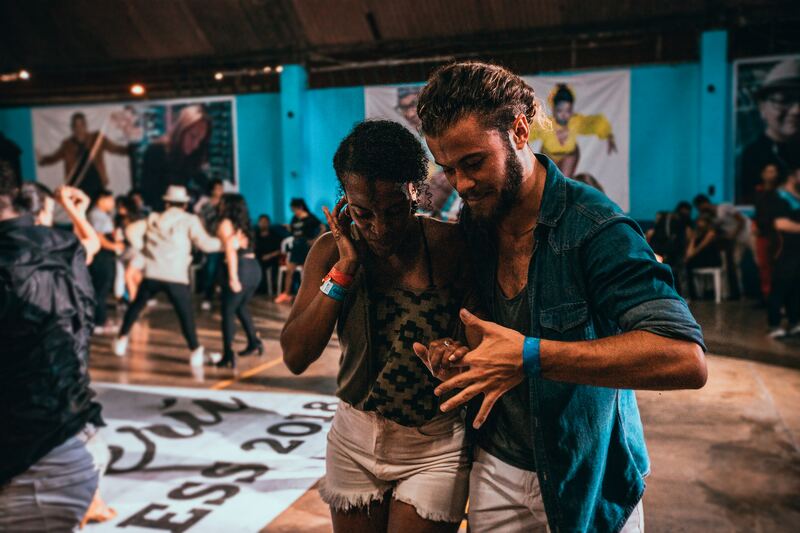 A level of contact is required in social dancing. Indeed the fundamental skills of leading and following are defined by requirement for contact. So do not hesitate to manually guide your students into a new position, or take them to an unused motor pattern, it can help them discover new movement possibilities. Verbal reinforcement is handy during manual guidance. For example, in beginners level, a follower should be encouraged to wait until they receive a lead and not to lead themselves. It takes longer to develop a lead than to follow one, so followers often try to lead themselves earlier on, depriving their partners to develop a lead. And in the upper level, sometimes a subtle change of your hand/body positioning can make a what seem to be an impossible pattern to do, doable. Developing your communication skills takes some time and experience, but if you remember the three forms above hopefully it’ll help you become a more effective teacher / instructor. Check out all our articles in the #4teachers series for more tips.